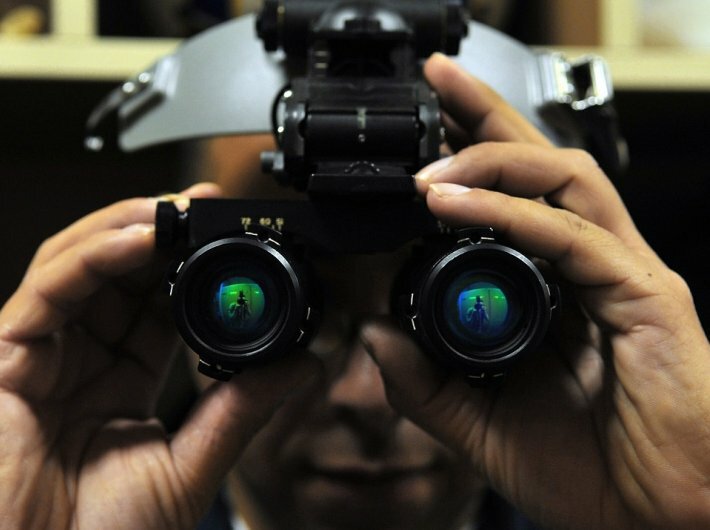 A small but sophisticated night vision device (NVD) that could track moving terrorists in the dark was the first gift from Israel to the Indian forces at a time when the latter was facing a huge challenge in the form of hordes of terrorists infiltrating from Pakistan through the alpine forests of the mountainous line of control. The first consignment of the infrared NVDs changed the scenario on the border and LoC. The soldier manning a long and undulating LoC could now see thanks to infrared field (invisible to naked eye) around a moving infiltrator in the pitch dark from a distance and plan its elimination. The infrared NVD had thus given a cutting edge to the forces in tackling infiltration in Kashmir. By the turn of the millennium, crossing border for terrorists and their Kashmiri guides was no longer easy. The army and the BSF had taken total control of the LoC and the International Border, thanks to the Israeli NVDs. Israel not only provided India with NVDs, it also supplied defence equipment to manage the border. The Israeli equipments have gone a long way towards improving the vigil at the border with Pakistan. Prime minister Narendra Modi on Tuesday left for Israel on a historic visit. He will be first the Indian prime minister to visit Israel. The July 4-6 visit is also important as it is for the first time that an Indian leader will be visiting Israel and not immediately following it up with a visit to Palestine. The supply of ammunition by Tel Aviv during the Kargil war with Pakistan had helped India at a time when it was facing acute shortages and the US was exerting tremendous pressure on Israel not to supply the same to India. Not only this, many experts from Israel had been quietly flown into Kashmir in the early years of insurgency erupting there. Although most of them had denounced the Indian side for being too indecisive and confused on tackling terrorism, their inputs had helped shape New Delhi’s policy of battling terrorism in Kashmir. Israelis were particular that the Indian side must start covert operations against the supporters of terrorists and demolish their over the ground network; however, this sounded too brazen to their hosts at that time. Israeli diplomats and security experts would fly into Srinagar in MHA planes and minimise their interaction with security forces and the governor. India was still shy of flaunting its growing relationship with the Jewish state. Interestingly in the summer of 1991, Israeli tourists were involved in a most dramatic escape from the Kashmiri terrorists, which made headlines. A terrorist organisation had abducted ten Israeli tourists from a houseboat in Dal Lake and taken them to downtown Srinagar. The terrorists had tied their hands in the back and were about to shoot them when one of the captives managed to free his hand and turned the table on his abductors. One Israeli was killed in the fight, rest got rescued and two terrorists were also killed in the fight in Srinagar's narrow lanes. Later, Israeli said they could break free and fight terrorists because of their mandatory army training. Kashmiri terrorists had then issued threats against Jewish tourists and alleged a lot of them coming to Kashmir were “Zionist agents”.